It has become quite popular for both men and women to take pre workout supplements before hitting the gym. Around 70% of people use supplements to boost their workout performance and impact. Although most supplements are marketed for men, some can still be used by women. Nonetheless, it is important to watch out for testosterone-boosting ingredients which should not be part of the regimen provided for women. Finding the best pre-workout for women requires careful considerations especially since there are numerous options in the market. This is one of the most loved pre-workout formulas available in the market and most people will purchase it since it is purely natural and “clean.” It contains several natural herbal-based ingredients and plant extracts to emphasize on the “clean series” and offers optimal results for both men and women. However, this formula is clearly designed for women and includes ingredients such as Ginko, Ginseng, Caffeine, Reishi, Beta-alanine, Rhodiola and Coconut oil among others. It is one of the few supplements that actually incorporate immune support. 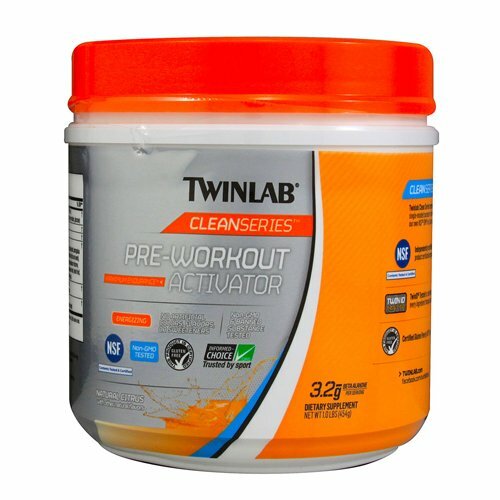 If you are looking for a clean natural pre-workout to add into your workout diet, then Clean Series women supplement from Twinlab is definitely your number one choice. The formula has been shown to increase energy, aid fat metabolism and promote natural body weight and balance. HIT is one of the popular supplement workout manufacturers and their product boasts remarkable reputation among users. Igniter Extreme is one of their supplements designed to help women achieve maximum workout impact. This supplement comes with various ingredients known to boost energy and endurance, and also induce faster recovery. Some of the ingredients added to this workout mix include L-Citrulline which is known to increase blood circulation and oxygen supply and Agmatine sulfate which boosts workout endurance and stamina. A small amount of BCCA is also added to aid recovery and rejuvenate your strength for the next set of reps. HIT Igniter Extreme exhibits a lot of improvements and is one of the best pre-workout supplements made for women. It has several positive reviews from users who can attest to its effectiveness. Most women use Igniter mainly for endurance and improved circulation. Labrada is known to target the whole range of workout requirements and benefits. When other supplements focus more on energy, Labrada aims to boost both pump and endurance. Jamie Eason is one of their simple best pre- workout for women formulas available in the market. 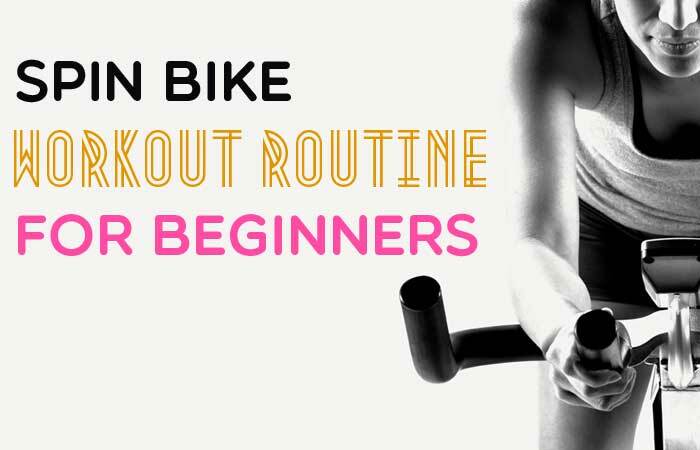 It is designed to increase endurance, pump, recovery and lean muscle development all which are important for women who constantly visit gyms to work out. Jamie Eason contains ingredients like L-tyrosine, Taurine, Choline and Citrulline Nitrate all within the 8-gram pill. Although it is not a formula meant to provide energy surplus, it will aid muscle performance and help you hold much longer on the reps without feeling instant muscle exhaustion. If you are looking for the best pre-workout for women, but do not need the stimulant action, then Jamie Eason is your ideal choice. 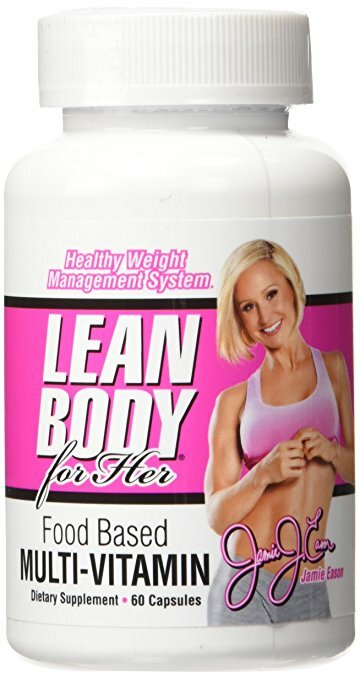 The formula is carefully designed to suit women and improve muscle performance prompting more lean muscle growth. 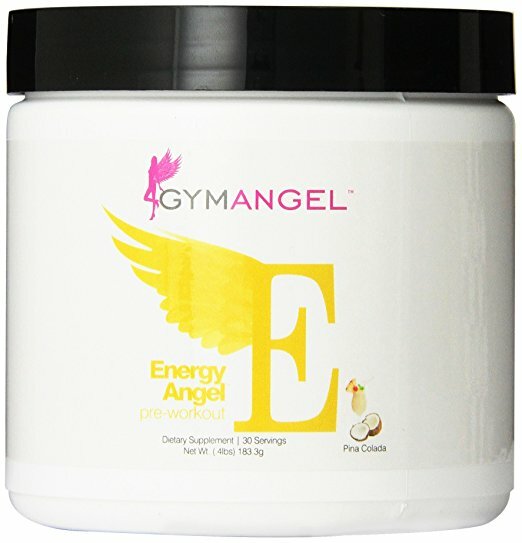 Gym Energy Angel is one of the simple, if not the single simplest pre-workout formulas for women. It has a basic take on workout performance, but that is the same reason it is very effective compared to all other options. Energy Angel offers a small dose of caffeine and Agmatine Sulfate. However, the ingredient producing Gym Angel’s amazing results is Betaine which is provided in 3 grams. Betaine is not only known to aid performance during workouts but is also associated with the development of lean muscle mass to keep you toned and fit in the process. Agmatine Sulfate boosts pump while caffeine is a stimulant to get you prepped for your routine workout and increase your energy levels. If you want something that is simple, taken in small doses and tastes fantastic, then Gym Angel is the ultimate option for you. It is always listed in the best pre-workout supplements reviews as the #1 within this category. Although still new in the sports supplements world, Transparent Labs is slowly taking a stand as the most reliable supplement manufacturer. Besides offering safe effective formulas, they treat every aspect very delicately and boldly display all the ingredients used for their supplements. They actually emphasize on formula transparency and adequately describe what the ingredients can help you achieve. 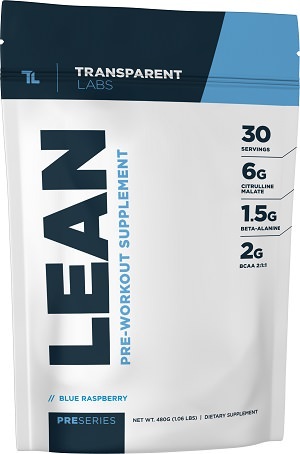 Lean pre-workout for women comes with optimized ingredients for “clean energy” and safety. They include L-theanine, Caffeine Anhydrous and Citrulline Malate. This combination is perfect for all women who have fat loss goals as it supports the lean muscle mass development and toning of the arms, legs, stomach and glutes. It is also said to offer thyroid support and fat metabolism support. The supplement contains around 20 active ingredients all listed and described. It is simply the best pre-workout for women both on paper and from actual user reviews. It is also the best seller and has no reported side effect. There are several other best pre-Workout for women supplements available and finding them is as simple as looking for businesses in your favorite browser. However, some offers are simply sub-standard products meant to scam you off your hard earned cash without providing any real benefits. More concerning is that other supplements may expose you to a host of undesirable side effects. It is generally advisable to consult your doctor before using any supplements especially if you have an underlying medical condition or if you are under other medications. You should purchase from credible licensed distributors or the original manufacturers if possible. This will help you get the genuine quality that offers the aforementioned benefits.